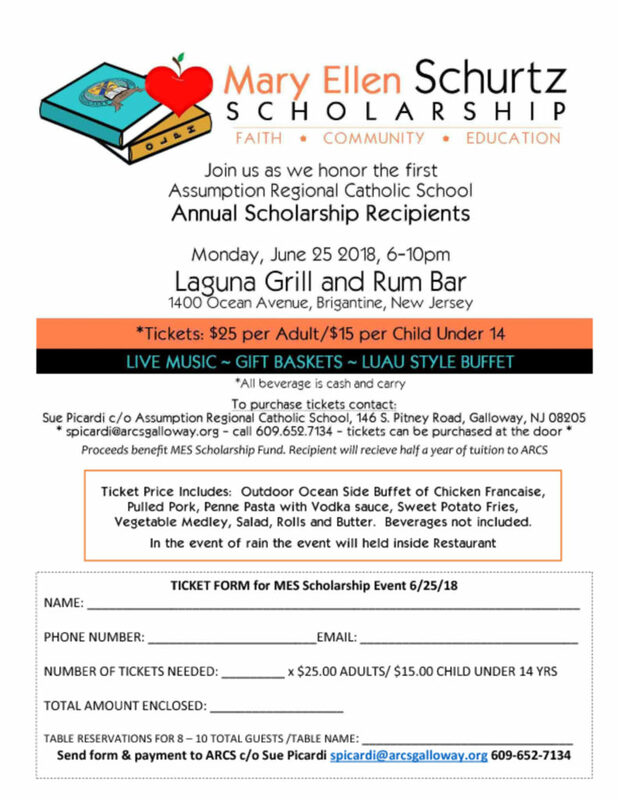 Join us as we honor the first Assumption Regional Catholic School Annual Scholarship Recipients. Proceeds benefit MES Scholarship Fund. 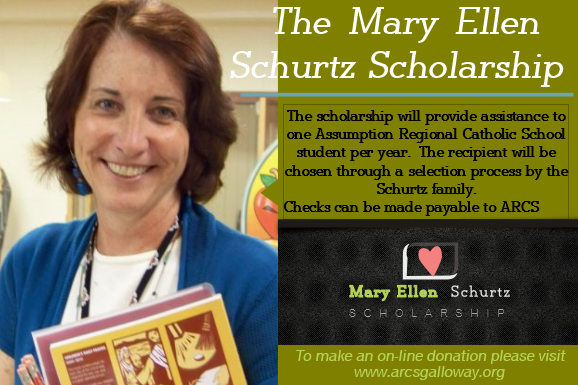 Recipient will receive half a year tuition to ARCS. Ticket Price Includes: Outdoor Ocean Side Buffet of Chicken Francaise, Pulled Pork, Penne Pasta with Vodka sauce, Sweet Potato Fries, Vegetable Medley, Salad, Rolls and Butter. Beverages not included. In the event of rain the event will held inside Restaurant. Click image below to print form.